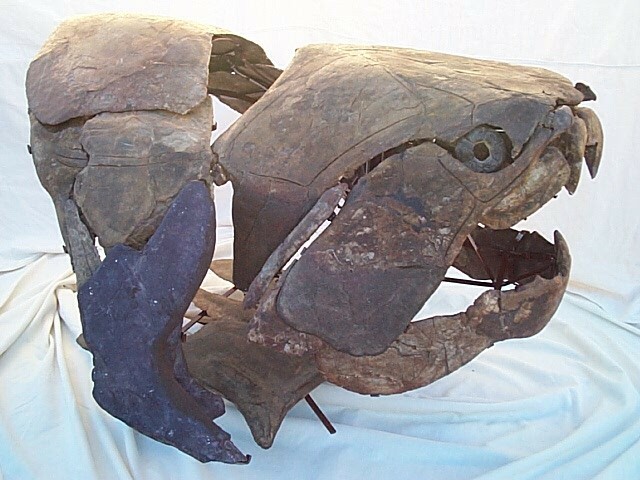 This is a cast of Dunkleosteus sp., a Late Devonian Placoderm Armoured Fish from Morocco. This armour plated fish grew to some 20 feet. Dunkleosteus was one of the earliest jawed vertebrates, and one of the largest of the placoderms. 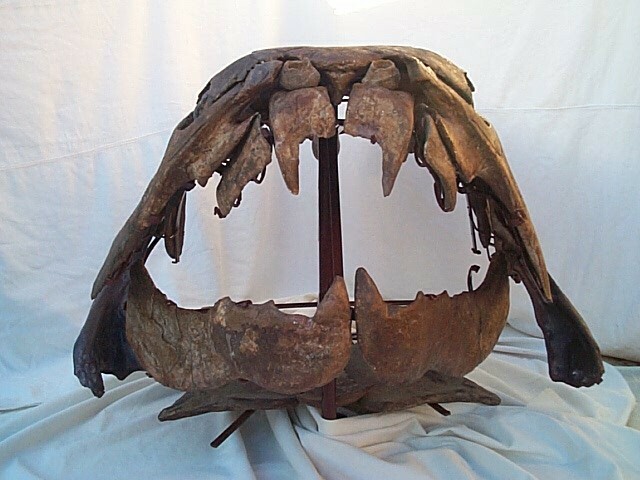 Violent predator may be an understatement for Dunkleosteus and its cousins. While lacking true teeth, it had two long and bony blades that were self-sharpening and could slice and dice most any living thing, which apparently it did. The fossil record shows regurgitated, semi-digested remains of fish suggesting it participated in the deadly sin of gluttony, with indigestion as a result: its fossils are often associated with regurgitated, semi-digested remains of fish. The Placondermi family evolved in the Silurian and perished in the late Devonian, leaving no descendants living today. Their appearance and disappearance has been likened to an early failed evolutionary event. As fierce as they were, they persisted only 50 million years, which pales in comparison with the 400 million year history of sharks. 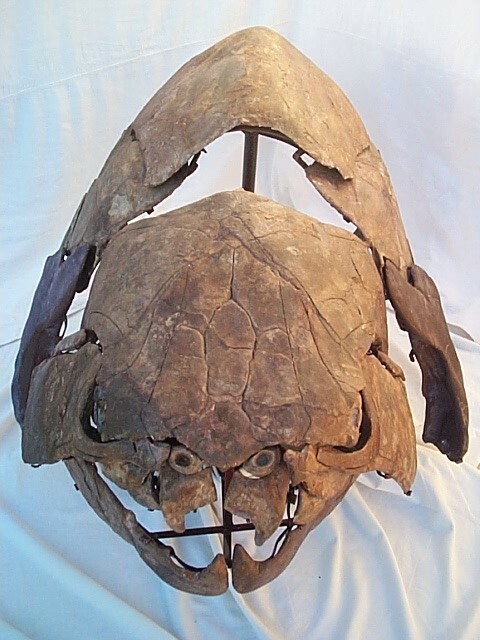 Some researchers believe Dunkleosteus may have been among the earliest animals that physically mated as male and female.